Arthur “Vance” Cotterman, 100, of Kokomo, went home to be with his Lord and Savior Jesus Christ at 6:50 a.m. Saturday, April 21, 2018 at Community Howard Regional Health System in Kokomo. 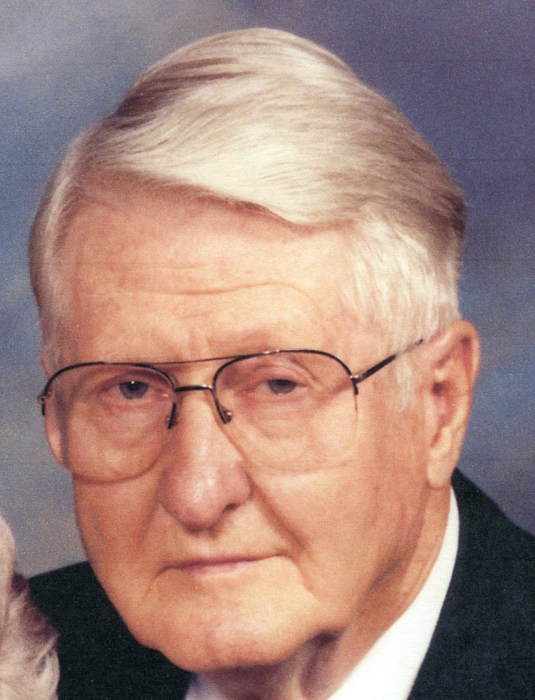 He was born April 15, 1918 in Cass County to Clifford and Hazel (Elkins) Cotterman. He married Florence E. Smith on November 25, 1943 in Royal Center. She preceded him in death on April 17, 2010. Vance worked in Tool and Die during his career. He worked for Stellite and Tate Model and Engineering for many years. After retiring, he still worked in smaller shops in tool and die. He was a member of the First Baptist Church of Galveston where he served as deacon, trustee and various other offices for the church. He enjoyed helping with Boy Scouts, the Cass County Historical Society, the town of Galveston’s Bicentennial celebration and the Galveston Baptist Church centennial celebration. Vance also enjoyed singing in the church choir. Other interests include camping, traveling, astronomy and learning new things. He especially enjoyed spending time with this children, grandchildren, great grandchildren and his great great grandson. Surviving family include his children, daughter, June Cotterman of Galveston and son and daughter-in-law, Dale (Renee) Cotterman of Indianapolis. Also surviving are grandchildren, Liza (Rob) Ballew, Indianapolis; Conrad Cotterman, Indianapolis; three great grandchildren, Nicole, Robert and Sean Ballew of Indianapolis and his great great grandson Grayson. He was preceded in death by his parents, wife Florence, and four brothers, Ruthford, Gene, Joe and Lynn Cotterman.